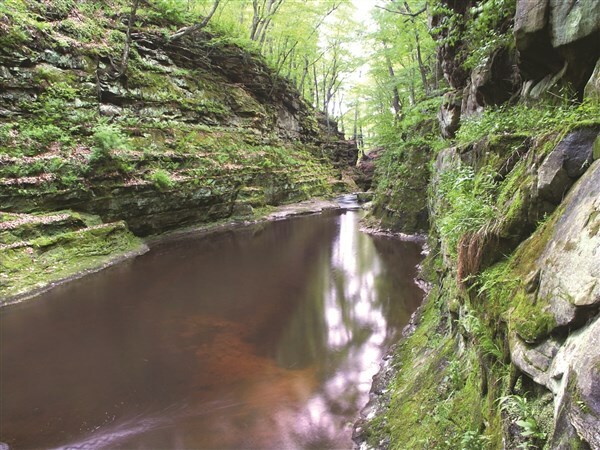 The beautiful states of Wisconsin and Michigan are filled with diverse natural, man-made and cultural offerings. Our tour highlights them all ... 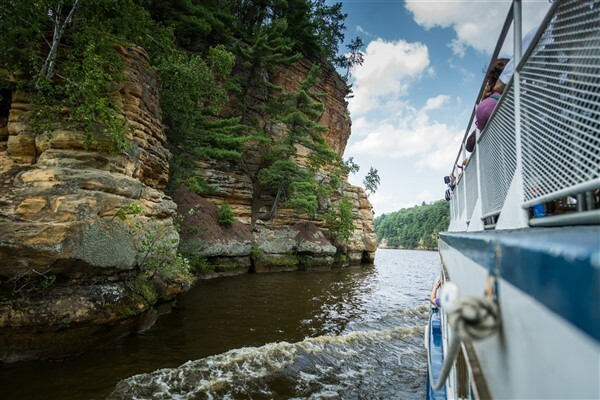 Shaped by the currents and curves of the Wisconsin River, the Wisconsin Dells have been a favorite family vacation destination for more than 150 years. 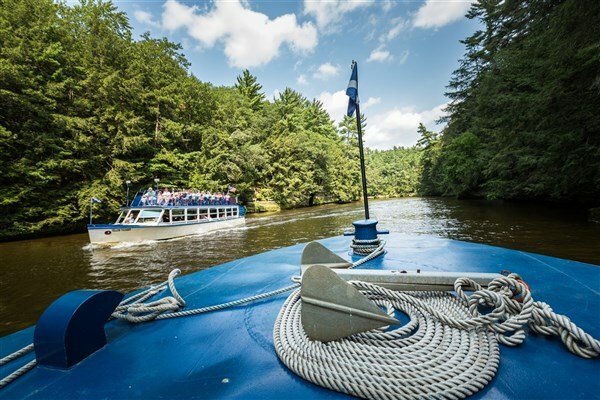 A cruise on the Dells is a scenic wonder. Every day is timeless on Mackinac Island which is suspended in a forgotten, more innocent time where you will relive the simple pleasures of life. 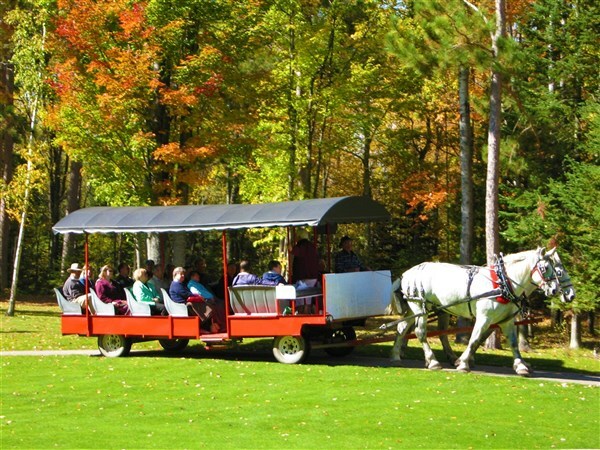 The Horse-drawn Carriage Tour at Thunder Bay Resort in Michigan will give you the chance to experience Northern Elk in their natural habitat. This tour is a feast for the eyes; bring your camera to capture all the scenic beauty. Our highlight on day 2 will be a guided tour of the Notre Dame campus. Our lodging for this evening will be at the Springhill Suites in Schaumburg, Illinois. This morning's travel will bring us to Monroe, Wisconsin - the Swiss cheese capital of the hemisphere. Here you can shop for snacks and gifts before we travel on to the Swiss village of New Glarus for more free time. (You may want to bring along a cooler bag for your cheese purchases.) A tour of the National Mustard Museum will be included before checking-in to our hotel at the Hampton Inn Madison East. Our morning highlight will be the House on the Rock. This extraordinary multilevel home stands atop a chimney-like rock 450 feet above the Wyoming Valley. The house is a modern architectural wonderland with several pools of running water, six massive fireplaces and one entire wall of windows jutting out over the valley below; trees grow from the foundation through the roof. This afternoon we will travel to the Wisconsin Dells where we will be treated to a boat cruise of the Upper Dells. After checking-in to our lodging at the AmericInn Lodge & Suites Wisconsin Dells for the evening, we can look forward to some special entertainment tonight. A scenic Lake Michigan coastal route will guide us to our lodging for the next two nights in St. Ignace, Michigan. On Michigan's Upper Peninsula, three of the world's largest freshwater lakes form the shoreline. An early morning ferry ride will provide a full day of sightseeing on charming Mackinac Island. Since automobiles are not permitted on the island, our sightseeing tour will be by horse-drawn carriage. Many ravines, natural bridges and strange rock formations may be found. Old Fort Mackinac, high on a bluff above the harbor, dates from 1780 and is preserved as a museum. A special treat will be a delicious buffet lunch at the historic Mackinac Grand Hotel. The afternoon will be at your leisure to stroll the shops along Huron Street or walk some of the endless nature trails on the island before we ferry back to St. Ignace for the evening. Our tour leads us today to visit two lighthouses. Old Presque Isle Lighthouse built in 1840 which operated until 1871 when the keepers moved to the New Presque Isle Lighthouse, which is the tallest lighthouse tower accessible by the public on the Great Lakes. Later, visit the Thunder Bay National Marine Sanctuary. 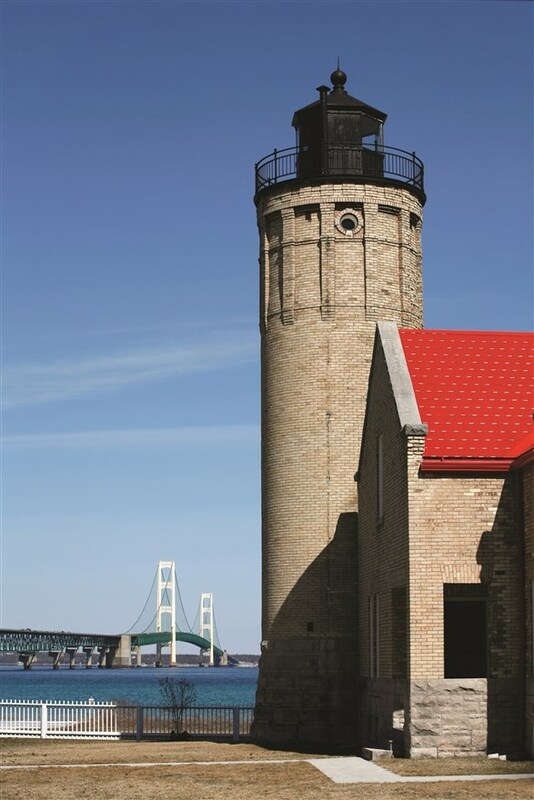 Here we will experience the maritime history, shipwrecks and archaeology of the Great Lakes. Also, we will see a full size replica of a wooden Great Lakes schooner and shipwreck where visitors can walk the decks, feel a Great Lakes storm and touch the massive timers of the boat resting on the lake bottom without getting wet! We will then travel to our overnight accommodations at Thunder Bay Resort. This evening we will have a narrated horse-drawn carriage tour of the Elk Preserve followed by a five course gourmet dinner at Elk Antler Log Cabin. We will begin our journey home with a stop at the Toledo Art & Glass Museums. Lodging tonight will be at the Hampton Inn & Suites in Maumee, OH. Saturday, our travels will bring us home by early evening.